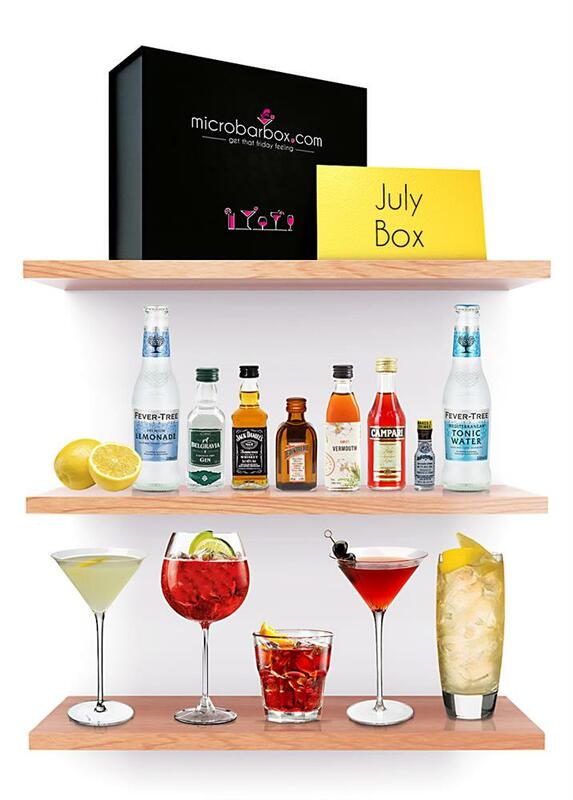 This month sees our Cocktail Club box bringing big tastes from big cities for your summer city break! 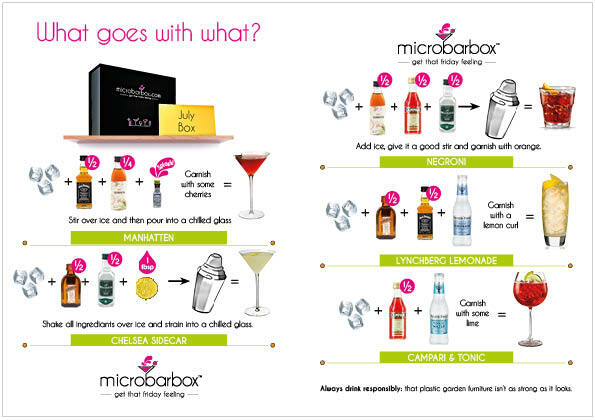 Your first trip is to New York with the Manhattan cocktail. Featuring Jack Daniel's No.7 Tennessee Whiskey, Bramley and Gage's Sweet Vermouth and a splash of Angostura Original Bitters, we are sure you will be sipping in style. Next stop is the classy Chelsea Sidecar, shake together Belgravia gin, which is incredibly smooth and bursting with flavours, with Cointreau and some lemon juice and you have yourself a delicious cocktail bursting with citrus flavours. The well known Negroni is up next, it is ensured to enlighten your tastebuds. Mix Bramley & Gage Sweet Vermouth with Campari and Belgravia Gin. Home of the Jack Daniels distillery, the Lynchburg Lemonade cocktail is the next cocktail to make, featuring the smooth Jack Daniel's No.7 Tennessee Whiskey, Cointreau and Fever-Tree Lemonade. The final cocktail is simple yet zingy, Campari Tonic, the name speaks for itself, mix the Campari with Fever-Tree Tonic water and your mouth will be watering with zesty goodness.